The 2016 Honda Pilot Available near Marysville has been completely redesigned this year. With room to seat eight and 109.2 cubic feet of space, this mid-size crossover is a great family vehicle. 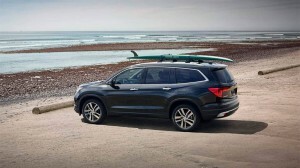 Honda has refined the interior and has improved the ride of the Pilot, as well as reducing its weight by 250 pounds. If you’re looking for a car that’s a smooth ride and has all the amenities for a family, the 2016 Pilot is the way to go. 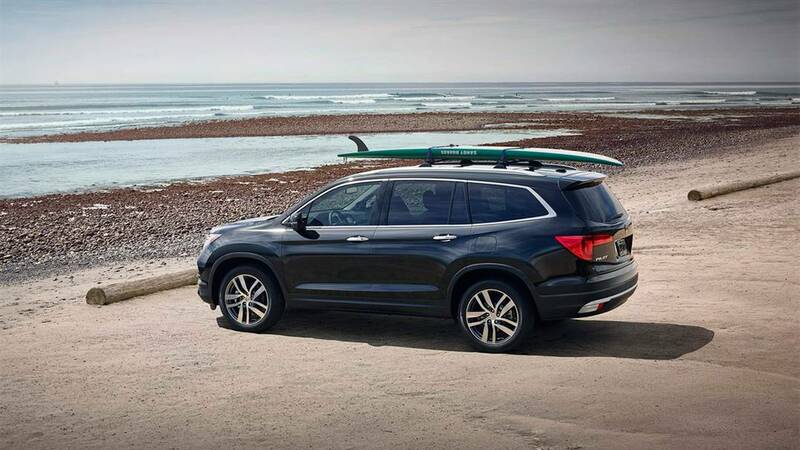 The 2016 Honda Pilot Available near Marysville uses a 280-horsepower 3.5-liter V6 engine that, with its 280 horsepower and 262 lb-ft of torque, can pull up to 5,000 pounds. The transmissions are a 6-speed automatic transmission as standard, though the top-of-the-line Touring and Elite models get a special 9-speed automatic with paddle shifters. The Pilot is also available in an All-Wheel Drive configuration. The 2016 Honda Pilot Available near Marysville comes with a number of exterior and interior features that make it equipped to accommodate any family. The Pilot’s power tailgate allows for easy loading of cargo, while the panoramic roof offers a comprehensive view of the scenery. Inside, one-touch 2nd-row seats can move forward to create easier access to the third row. People buying the elite model can enjoy heated and ventilated front seats, as well as a heated steering wheel for cold days. The center console has storage space for a 10-inch tablet, while the third row can still fit a 82-quart cooler behind it. The 2016 Pilot’s rear entertainment system consists of a 9-inch screen that allows for DVD or Blu-Rays to be played. An audio touchscreen with an 8-inch display lets you use pinch-and-swipe motions to select your music. There are five trims total available for the 2016 Honda Pilot Available near Marysville, starting with the base LX trim and ending with the well-equipped elite model. 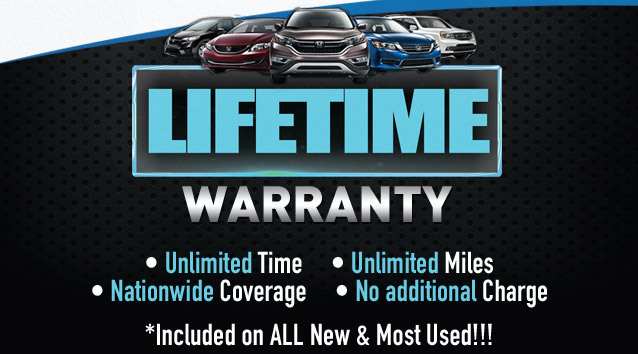 For a bigger picture of available Pilot models, you can visit Klein Honda of Everett. We are located at 10611 Evergreen Way in Everett, WA 98204. We help with service, financing, and parts sales, as well as helping you choose the Honda that will be a perfect fit for you and your family. You can call us, chat with us online, or even text us from your cellphone to get all of the latest information on our deals and specials.